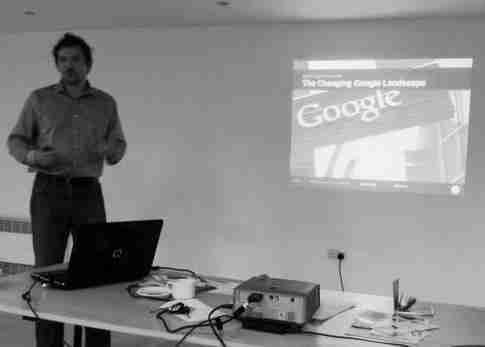 If you’re looking for a speaker to speak at a conference or speak to a board about SEO, either the virtues of it or the changing landscape of Google and internet marketing in general get in touch. When speaking about seo, I aim to pass on actionable techniques and strategies that can be applied directly to the audiences websites and online presence, using straight forward, no nonsense language illustrated with relevant and insightful stories. I work with medium to large businesses and business owners to ensure they are successful online. My main goal is to train, teach, work with and learn from entrapreneurs and business executives about search marketing in all its guises, which includes everything from SEO to PPC to Social Media (and everything in between). By the end of the session, the attendees will learn how to get qualified and targeted traffic to their website(s) and also the things that need to be in place to make sure they convert them into customers. Get in touch today for more information by calling 0755 7924229 or check out my SEO Speaker page on GrowTraffic.